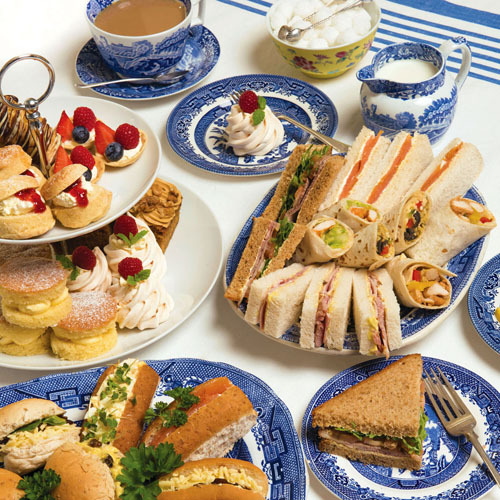 Home > News > Win a slap-up Mother's Day Tea! We're giving you the chance to win an afternoon tea for the whole family to enjoy in our Mother's Day facebook draw. That's a proper spread, all freshly made by Dike's Kitchen, ready for you to pick up on Mothering Sunday, 31st March. We'll supply a selection of rolls and sandwiches, home-made quiche and sausage rolls, and locally-made cream cakes – plenty to feed up to five people – as well as a bottle of pink fizz for your lovely Mum! All you have to do is head on over to our Dike's Kitchen facebook page and enter our draw, launching at 8pm on Wednesday 20th March. The lucky winner will be chosen at random on Thursday 28th March. You can trust Dike's Kitchen for all your catering needs – from a few canapes for your drinks party to a full wedding buffet and bar service. Just call 01963 362204 to discuss your requirements. To enter the draw, simply Like the Dike's Kitchen facebook page and share the post. Entrants must be over 18. The Afternoon Tea supplied will easily feed up to five people based on our usual catering quantities per head. (The winner may of course choose to supplement the tea with additional items if there are more guests, at their own expense). All the food will be freshly prepared and kept chilled at the shop, together with a bottle of chilled La Gioiosa Sparkling Rose, ready for collection on Sunday 31st March any time from 10am to 3pm. The winner will be drawn at random on Thursday 28th March and notified by facebook message. An announcement will also be made on the facebook page.